The William L. Welch Community Swimming Pool Renewal Plan began in 2009 with an Aquatic Feasibility Study, provided by Counsilman-Hunsaker. 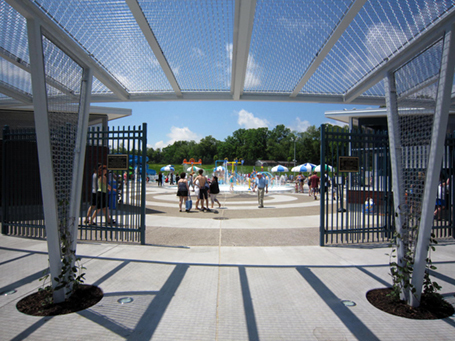 The swimming pool was enjoyed for its community atmosphere, but residents wanted the pool experience updated, to meet new codes requirements, serve regional needs, keep capital and operating costs reasonable for customers and the five municipalities it serves, and to cooperate with the State College Area School District for parking and land use. Uniting the political bodies necessary for making these new pools a reality was no small feat. The new pools were achieved through a partnership of five municipalities: the Borough of State College, College Township, Ferguson Township, Harris Township and Patton Township.